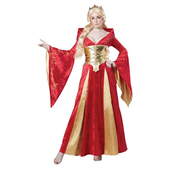 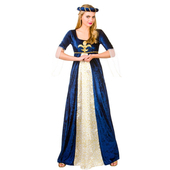 This elegant and royal costume is the perfect costume for you next fancy dress or Tudor style party. 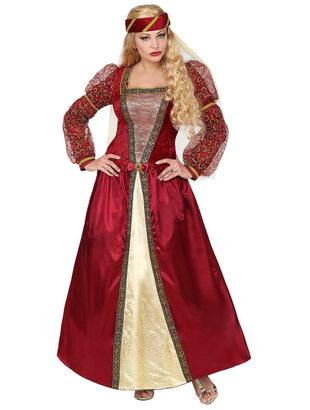 Included in this costume is a long beautiful detailed dress with a crinoline underskirt. 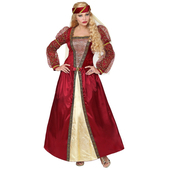 To complete the medieval look a headpiece with veil is also included. 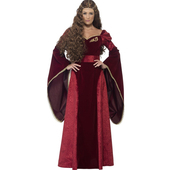 Wig may be purchased separately.